Set in Europe after the events of Resident Evil 2, this adventure follows Claire Redfield on her quest to find her missing brother Chris. She was kidnapped by unknown assailants and taken to England to do battle with an army of undead. The Terror is Relentless! It stalks its prey with cunning. Its reflexes lightning fast its power terrifying. Now it's after you! You are Claire Redfield as her next nightmare begins in the most chilling game series of all time. Experience a new chapter in survival horror. After surviving the horrific onslaught in Raccoon City, Claire now arrives in Europe following new clues regarding her missing brother and Umbrella Corporation's insidious activities. Once inside Umbrella's remote lab, she discovers that her terrifying ordeal is far from over. The nightmare continues. 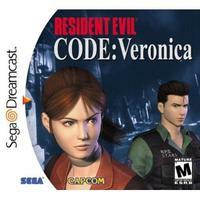 The nightmare plague of the Resident Evil adventure now spreads to Sega Dreamcast. Command Claire Redfield as she searches to locate her missing brother, S.T.A.R.S. member, Chris Redfield. Graphics so real, so terrifying...you'll beg to keep the lights on. New 1st-Person perspective battles take you directly into the horrifying drama.